Divorce is always difficult. Unfortunately, the more assets you have, the more complicated the proceedings become. 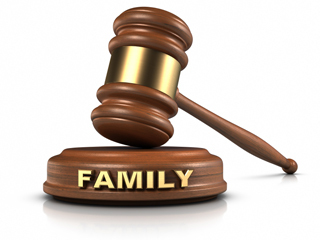 In times like these, you need one of the Seattle areas most experienced and capable family law attorneys. Christopher K. Shank has been named a top family law lawyer in Seattle by two independent publications four times over the last seven years. He has also received highest marks on the Martindale-Hubbell, a ranking by his peers. Whether your divorce is amicable or contentious, you need an attorney with the class, empathy and sophistication to guide you and protect your interests. Mr. Shank has been named as a top lawyer for family law in 2003, 2005 and 2007 by Seattle Magazine, and in 2010 by Seattle Met Magazine. Disclaimer: The materials available at this web site are for informational purposes only. No information herein is to be used for the purpose of providing legal advice. You should contact your attorney to obtain advice with respect to any particular issue or problem. Use of and access to this Web site or any of the e-mail links contained within the site do not create an attorney-client relationship. Please do not send any confidential information until such time as an attorney-client relationship has been established.